Welcome to my stop on the Growing in Unity Blog Hop. If you came from Laura Mooney's blog, you are heading in the right direction. 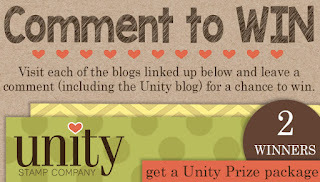 If you just happened upon my blog today, I'd recommend starting at the Unity blog and comment along the way for your best chance to win a prize! I love that huge flower! The background is done with TH distress inks in Salty Ocean, Broken China and Worn Lipstick. 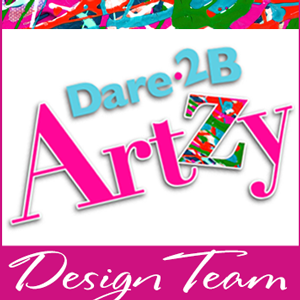 I then stamped the "mesh" with Dare 2B Artzy Chocolate Chip ink. The flower is colored with Copic markers, Y00, Y13, Y15, Y18, Y19 and Y28. 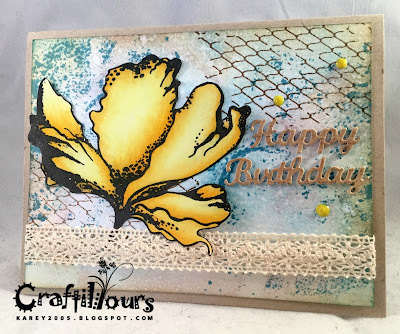 I finished the card off with a Happy Birthday Sentiment from Elizabeth Craft Designs, some lace and Nuvo drops. Your next stop on the hop is Aimee Phillips's blog. 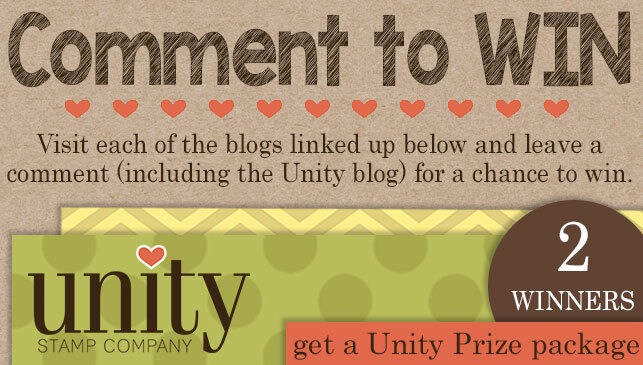 Be sure to leave some bloggy love along the way for your best chance to win! And thank you for stopping by today! Love that beautiful flower and your coloring! Lovely card! 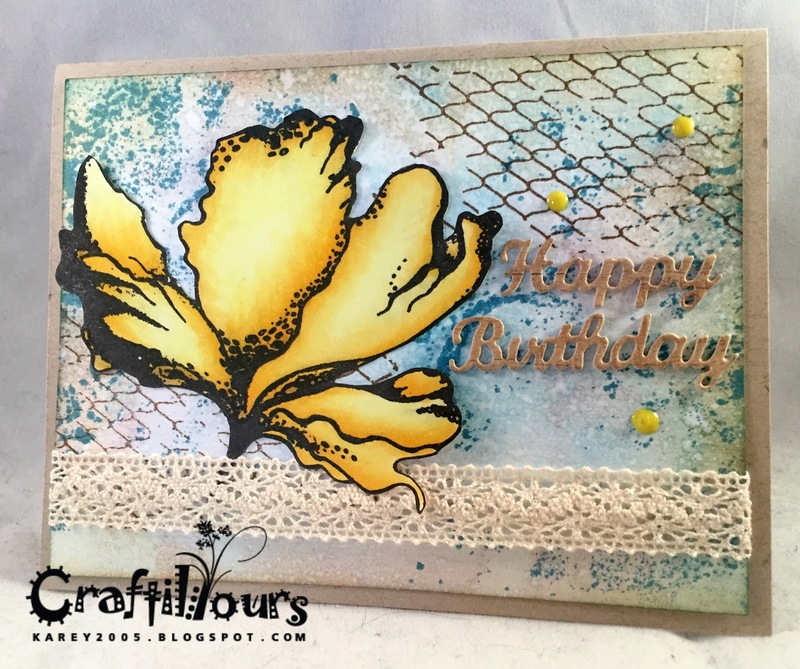 I love the contrast of the bright yellow flower and the softer colors of the background, beautiful card. awesome Birthday card,I love the background! I am not a yellow person normally but I love this card! I knew I should have ordered Blow Your Mind when it was on sale. Haha. Seriously, this card is gorgeous. I love the bold yellow flower and the softer, textured blue background. This card is absolutely stunning! I love this stamp set and you have really showcased it! Beautiful color combos and I love the use of that huge flower. this card is so beautiful! That is a big beautiful flower!Love the background too! Great job! Thanks for sharing! This is simply beautiful in every way; love it. Brite & cherry! Love anything with TH inks! Beautiful. I like the background and the lace trim. This is lovely, Karen. The yellow flower really pops! Yellow may be my new favorite color. Thanks! From color choices to all the details, just fabulous!!! This is my type of card. Well done! Love this card! Love this kit! The flower and the yellow coloring are so pretty! That flower looks amazing, wow. Beautiful card, thank you. I love that flower and how you popped it out over the lace. This kit is on my wish list. This is amazing! You've convinced me to get this set on my wishlist. (bows head in reverence) Impressive! Love the Chocolate Chip ink, great color combo. Thanks for sharing. So beautiful, that flower is gorgeous!!! Simply BEAUTIFUL!! LOVE your card Karen!